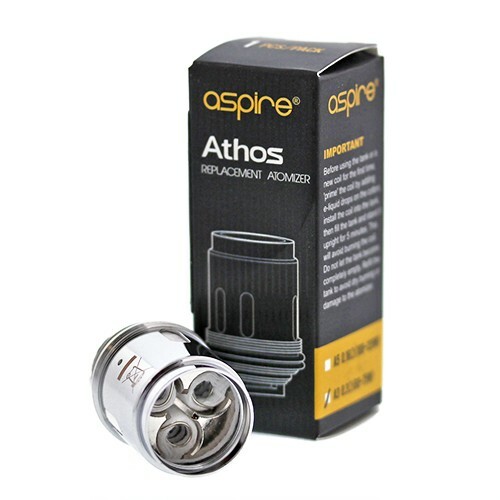 Now available separately from the stunning Athos Sub-Ohm Tank are the Aspire Athos A3 Replacement Coil Heads. The 0.3 ohm coil head is outfitted with Kanthal Coils nestled into 100% pure Organic Cotton. 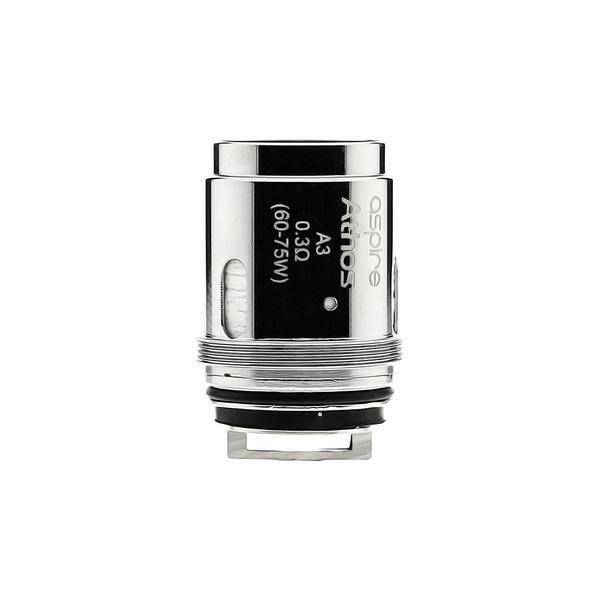 Designed with three individual vertically oriented parallel coils, this atomizer head boasts some truly incredible vapor production while maintaining a clean, long-lasting flavor. Prepare for an ultra-smooth hit as the multiple wicking ports allow for maximum e-juice breathability. 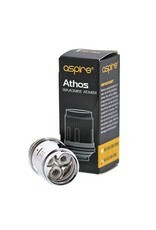 The Aspire Athos A3 Coil Head is rated for best use between 60 and 75W. 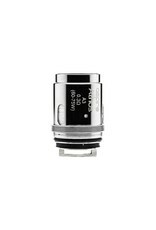 Indulge in flavor and massive vape clouds as this well crafted atomizer brings out the best in your favorite e-liquid.